Can you tell that I took full advantage of the Sephora VIB Rouge Sale this year? It was the perfect opportunity to splurge on items that I otherwise would have talked myself out of. Exhibit A: this extremely expensive highlighter from Burberry. 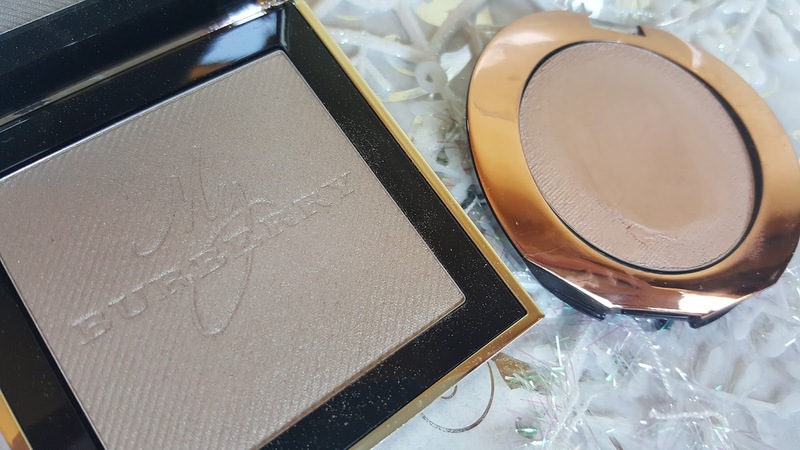 As there weren't really many swatches of the Gold Glow Fragranced Luminising Powder, this was a bit of a leap of faith for me. Most of the photos I saw depicted the powder as a sheer coat of sparkles, but with that kind of price tag, I needed to see for myself. There is truly a different experience when you purchase an item from a luxury brand. 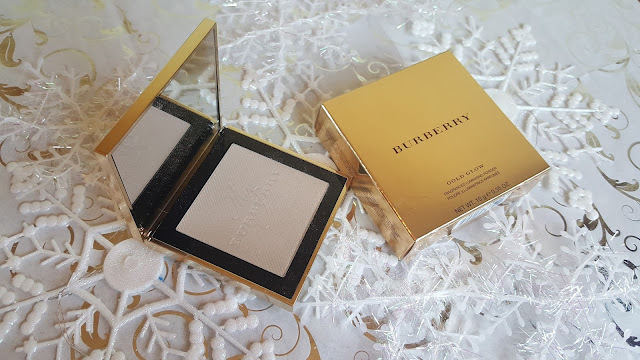 The packaging of the Burberry Luminising Powder is absolutely stunning with its heavy, embossed gold packaging. 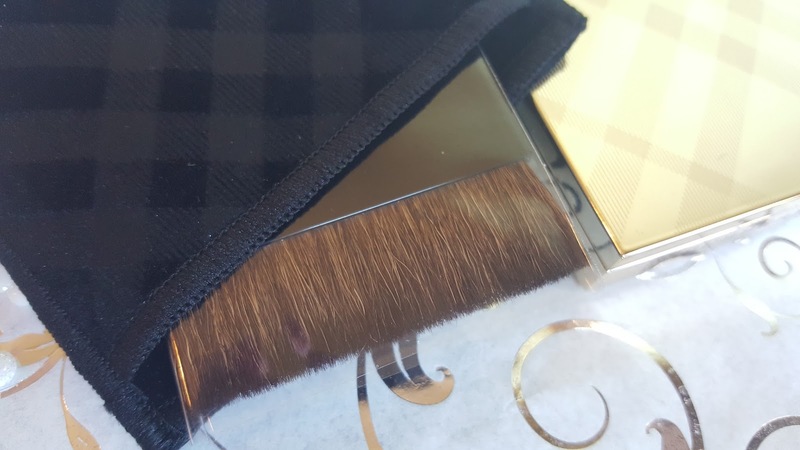 It comes enveloped in a soft black velvet pouch, which also contains a narrow, natural bristle-haired brush with which you can apply the product. 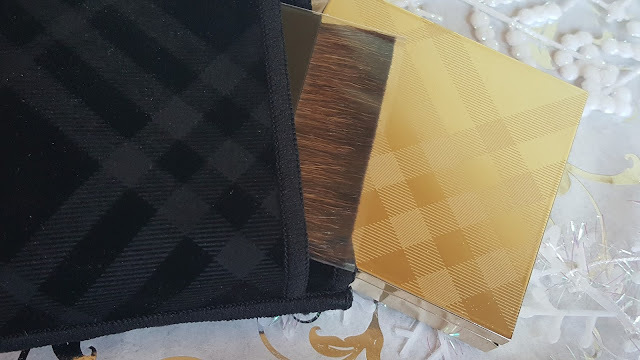 To be honest, I probably won't be using that brush much, but it is not entirely a horrible brush either and will be a nice compact way if I need to touch my highlight up on the go. 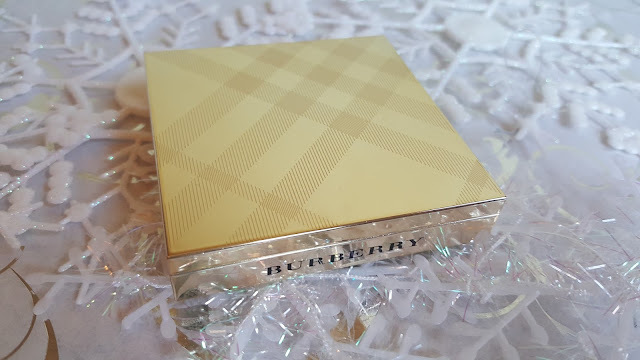 Another thing to note is that this powder is infused with the signature My Burberry fragrance, a very lovely scent that does not seem to linger when it is applied to the skin, a good thing for those of us with sensitive skin. Now as far as the color is concerned, I'm not exactly sure how this powder can be considered a "gold glow". On my skin tone, it comes off as more of a beige-y silver sheen. 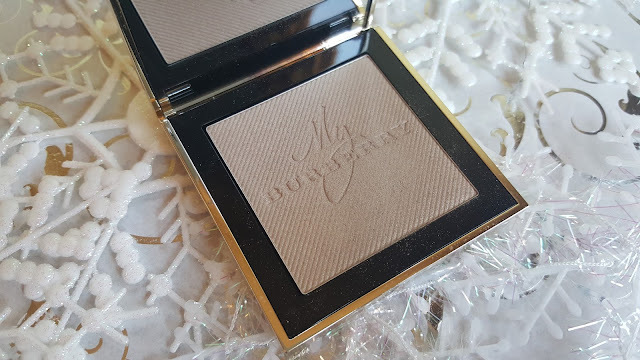 In fact, it is entirely too muddy and dark when I'm at my lightest unless I pair it with another new favorite of mine, the Flormar Puffy Eyeshadow in Lily Fields. Though an eyeshadow, I use it as a cream base under the Gold Glow Highlight. 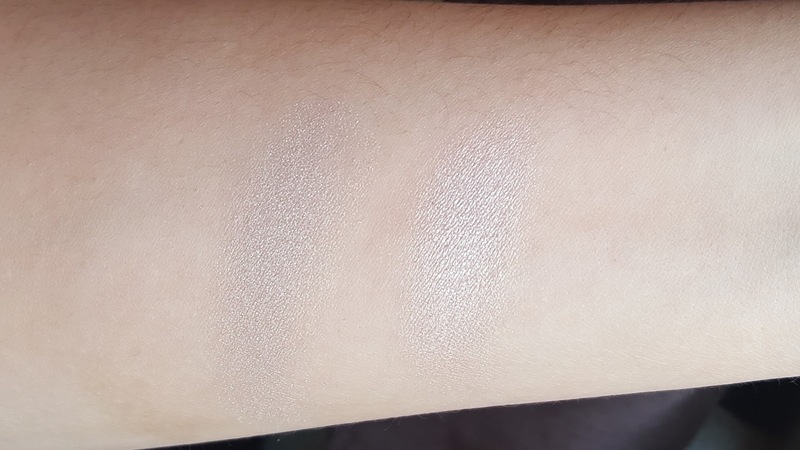 This seems to do multiple things, including lightening up the shade to make it more wearable, provides a sticky base for it to adhere to, and intensifies the sheen. 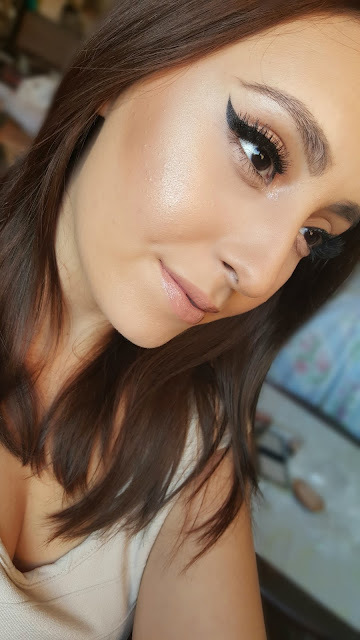 You know me, I like to glow. With a $68 price tag, whether or not the Gold Glow Fragranced Luminising Powder is a must-have is all up to individual preference. A Christmas gift for yourself or a loved one maybe? Personally, I have nothing else like it in my collection, so it is definitely a unique, standout piece of luxury that I would buy again if I had the chance. For those of you interested, it is currently sold out on Sephora's website, but is still available at department stores.